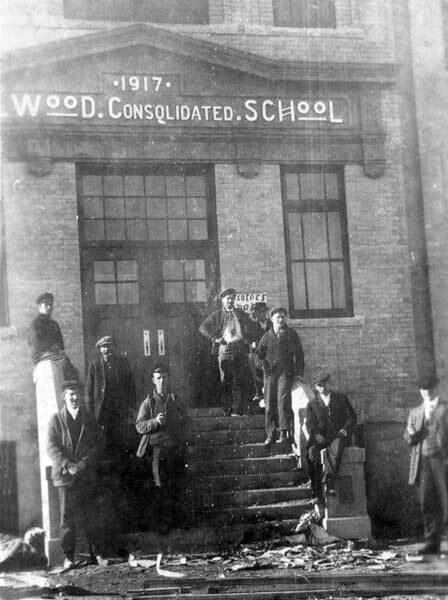 Wellwood Consolidated School opened in the village of Wellwood (named for Rev. J. M. Wellwood), in the Rural Municipality of North Cypress, in 1917. It consolidated rural schools from the surrounding area, including Brucefield School No. 799, Hazelgrove School No. 798, Kennedy School No. 1443, and Wellwood School No. 135. The school closed in 1976 and its building was demolished. 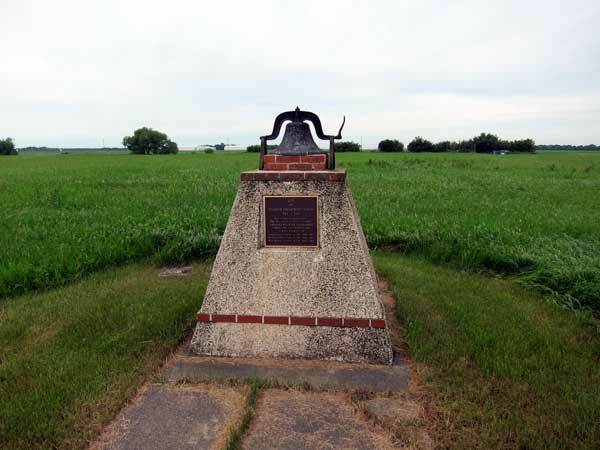 A monument, topped with the school’s bell, remains on the former school grounds. 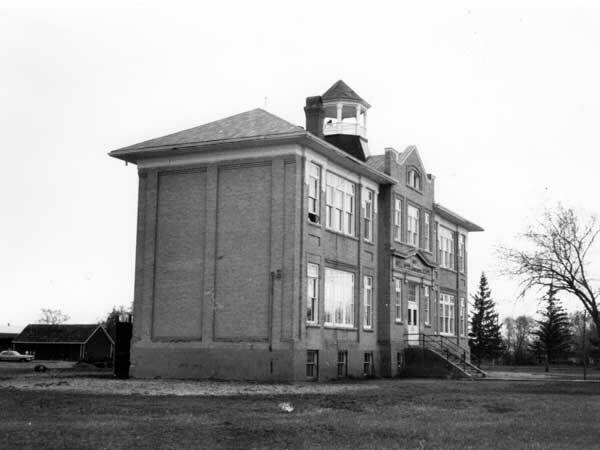 Among the early teachers of Wellwood School were Jean Gunn, Dallas Perry (1894), W. T. Lockhart (1895), Edith Robinson (1896), A. Abbott, Helen Younghusband (1897), Stanley O’Brien, Christina Armit (1898), Christina Armit (1899-1901), Wallace Watson, Lizzie Craig, Annie Turner (1902), Annie C. Turner (1903), Edith Creighton (1904), Gertie MacDougall (1905), Bertha M. Lowry (1906), Kate Gahan (1907), Emily E. Ducklow (1908-1909), Marion Young (1909), Bertha E. Reid (1910-1913), Maurice S. Miller, Ethel P. Miller (1914-1915), Clara Langseth (1916-1917), and Ruth Weaver (1917). Source: Archives of Manitoba, Architectural Survey - Wellwood 5. First Century of Langford, 1891-1991 by Langford Centennial History Committee, 1990, pages 68-70. 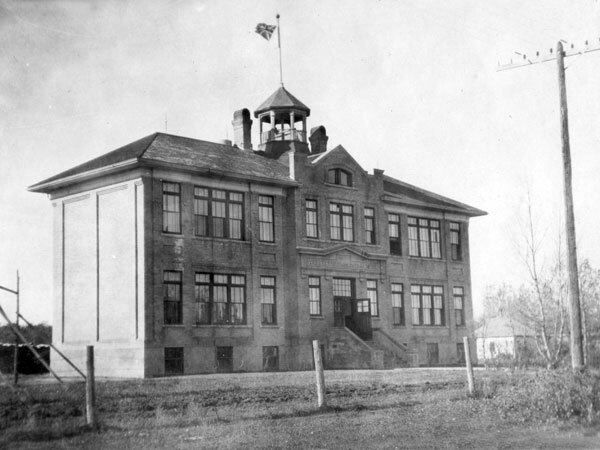 Manitoba School Records Collection (GR0292), Wellwood School District No. 135 Daily Attendance Registers, Archives of Manitoba. We thank Alan Calvert Fox for providing additional information used here. This page was prepared by Nathan Kramer, Gordon Goldsborough, and Allan Drysdale.